J.N. 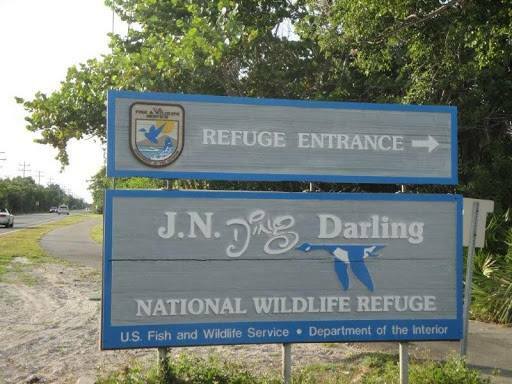 “Ding” Darling National Wildlife Refuge is one of the main highlights of visiting Sanibel Island. This 6,300-acre wildlife preserve is home to 238 species of birds, 50 types of reptiles, and 32 different kinds of mammals. Visitors experience this refuge in a variety of different ways. There are walking and biking paths, or if you don’t feel that ambitious, you can relax in the comfort of your own car.